Around 1885, a local turpentine baron named David Gibson decided that his land on the Indian River should have more direct access to the Atlantic Ocean. His solution to this problem was to dig an inlet, connecting the Indian River Lagoon to the Atlantic Ocean, and essentially cutting North Hutchison Island (sometimes called Orchid Island) in half. After all, barrier islands are sometimes pesky little buggers and often get in the way of commerce. Unfortunately for Gibson, the inlet was filled in a decade later when a tropical storm, followed by a Category 3 hurricane hit the central Florida coast. Today, Gibson’s attempt to tame Mother Nature is called “Gibson’s Cut” or “Gibson’s Folly,” depending on who you ask. 63 years and hundreds of thousands of dollars later, Gibson’s dream was realized when a “permanent” inlet was established. The reincarnate of Gibson’s Folly was dubbed Sebastian Inlet. 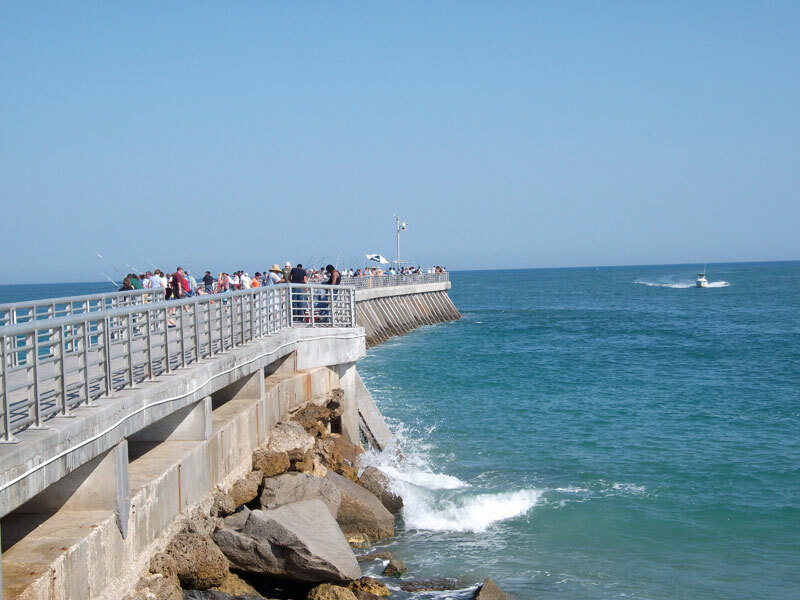 Sebastian Inlet is not alone in its manufactured appearance. Practically every inlet on the East Florida coast is man-made. The long sand spits that historically protected the Eastern Florida seaboard have forever been altered. 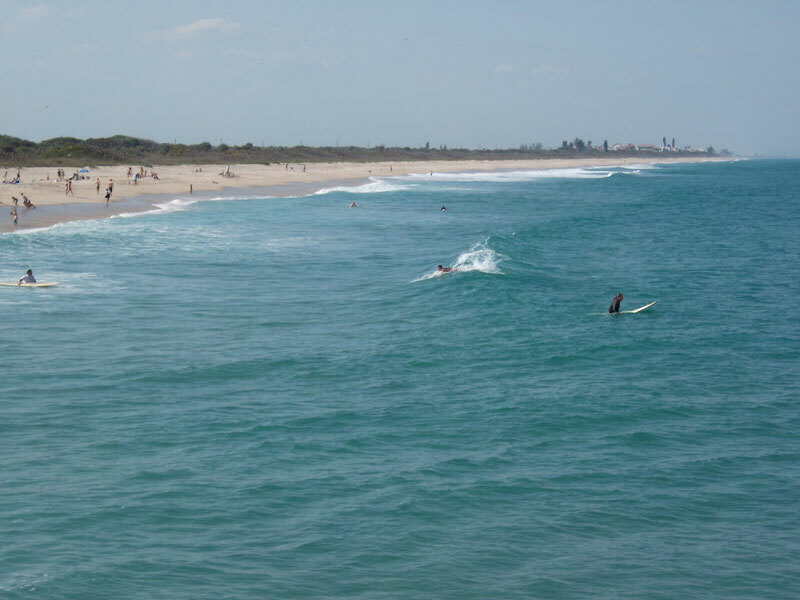 Presently, the Sebastian Inlet is the sight of the second most popular state park in Florida and home to one of the premier surf spots on the East Coast. 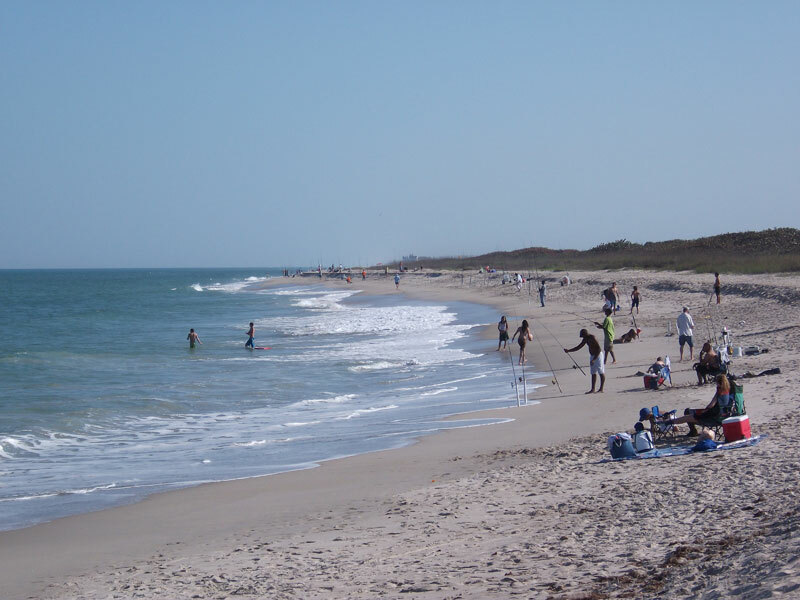 Last March, I packed my 2003 Toyota Matrix with camping gear, three surfboards, and two buddies and drove to Sebastian Inlet State Park. It was the perfect time for a road trip: the economy was in the tank, millions of sharks were making their annual migration down the Florida coast, and midterms Coastal Carolina University were two weeks away. I had been checking the surf report religiously and was confident that there would be an ample amount of waves to satisfy our thirst. Every year, thousands of pilgrims flock to the Central Florida coast, braving irate fishermen and an abundance of sharks, to surf the tasty barrels created by the north jetty. Legend has it, the first ever aerial on a surfboard was done here. The inlet was the proving grounds for ten-time world champion Kelly Slater. In short, it is the Mecca of East Coast surfing. 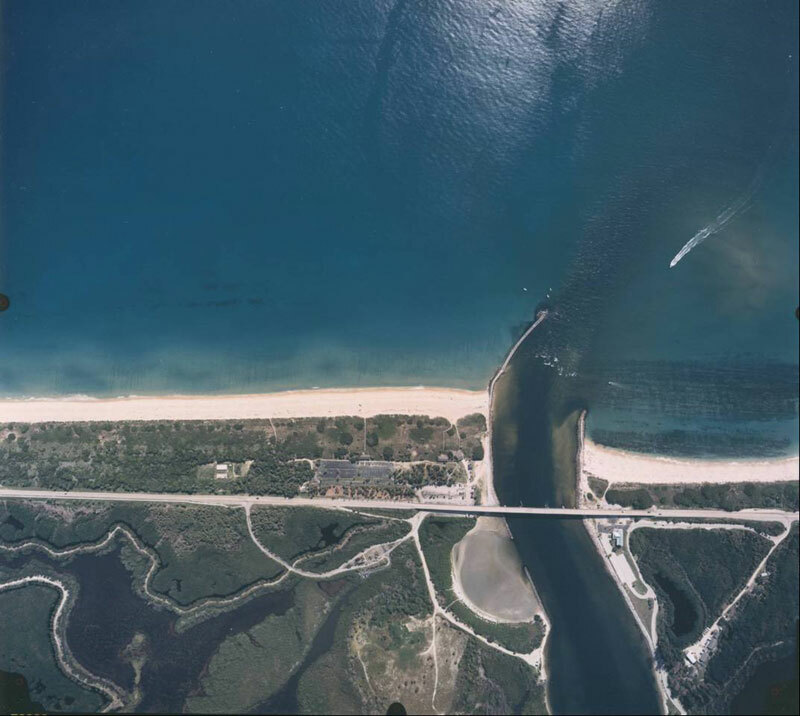 Sebastian Inlet State Park straddles two barrier islands, connected by an arching bridge that also serves as a revered source of shade in the parking lot. To the south, towering sand dunes are interrupted by the occasional mansion, usually adorned with a sea wall. This is the product of a combination of money and erosion. The majority of the park lies on the northern island, ensuring far less development. Sand dunes surround the bathrooms, a ranger station, and a snack shop. This is where the throngs of visitors tend to go, so expect massive crowds in the water and on the beach. 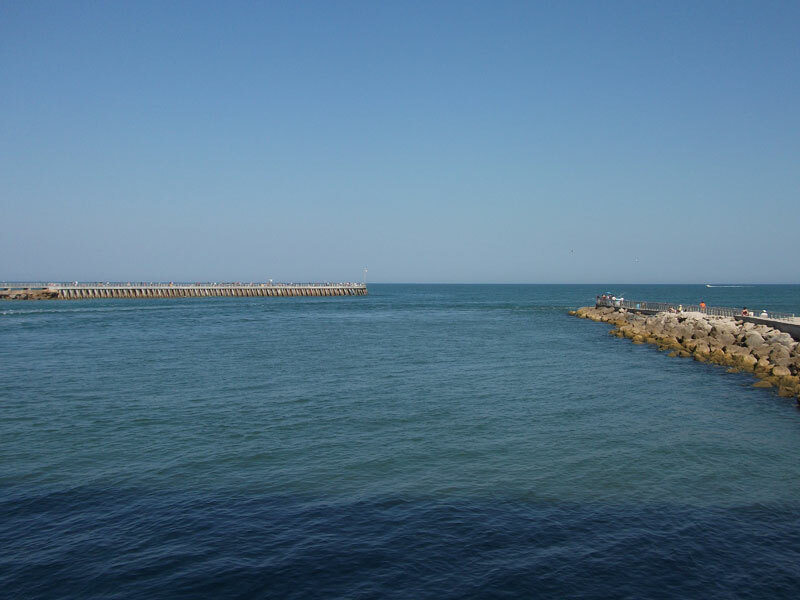 The inlet is guarded by two jetties, a smaller rock jetty to the south, and a large curving cement monstrosity to the north. 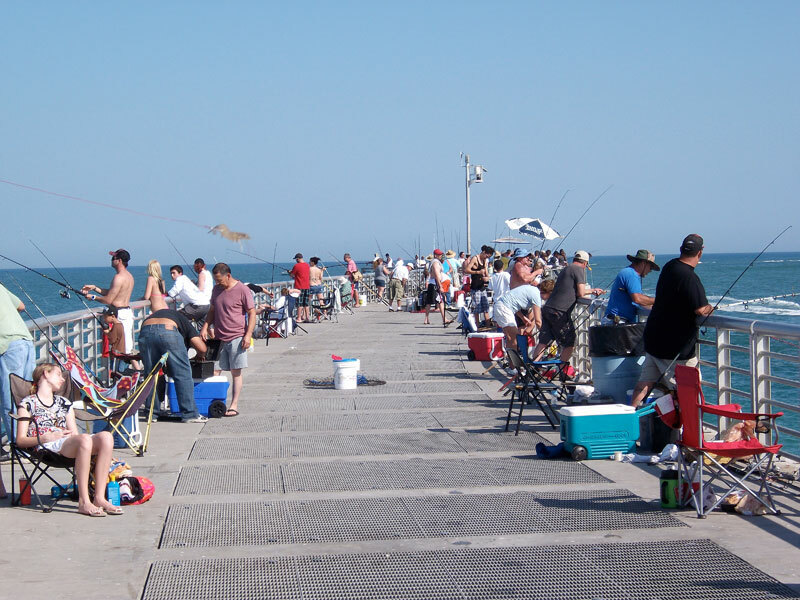 Real estate on the north jetty is hard to come by, as it is generally packed with fishermen, some of whom cast their line directly into the surf lineup. This has created a heated controversy among the park’s surfers and fishermen. The overdeveloped and highly toxic Indian River Lagoon defines the park’s western boundary. Mangroves dot the shoreline, but mansions can be seen in the distance. A pamphlet I picked up at a local gas station titled “A Guide to Living on Indian River Lagoon,” touted the abundance of marine life in the lagoon, including the beleaguered manatee, but admitted 92 percent of the lagoon’s mangroves have been sacrificed to development. With jetties come erosion, and Sebastian Inlet is no exception. 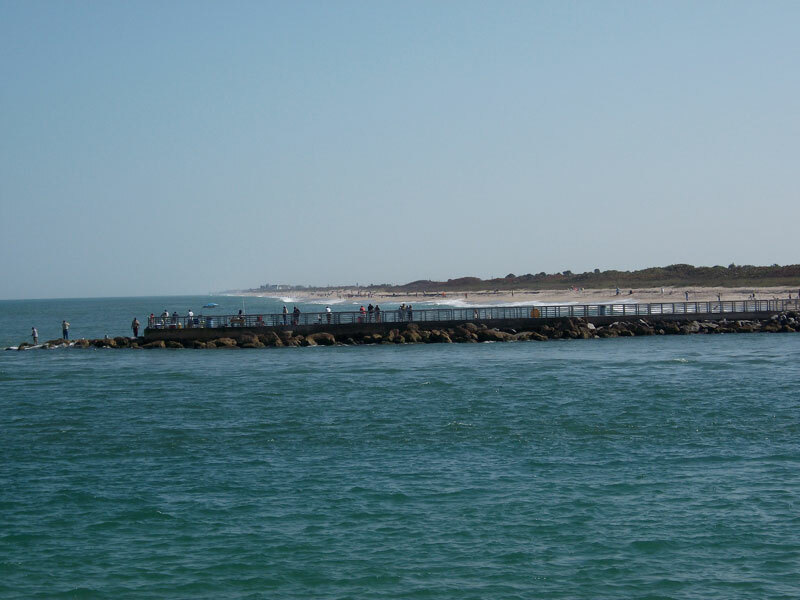 Like most of Florida, the erosion is concentrated on the southern island since it is downdrift from the jetty, which explains the presence of the sea walls. To combat this bothersome process, the inlet is dredged on a regular basis and the sand is used to restore the southern beach. 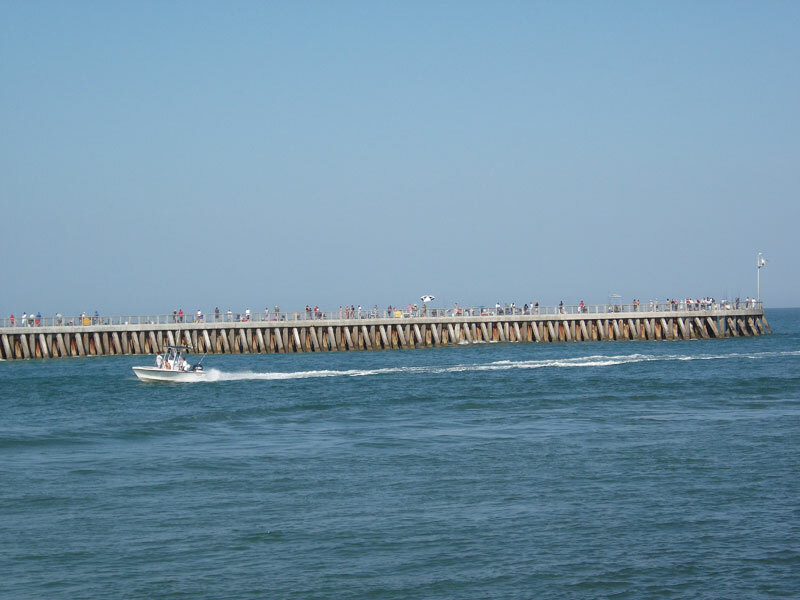 For the past hundred years, the State of Florida and the Army Corps of Engineers have quite literally thrown money into the inlet, attempting to fix a problem that they created in the first place by building the jetties so the inlet wouldn’t fill in, so Floridians can drive their boats from their mansions on the lagoon to the ocean. But I am a hypocrite, as are all environmentally conscious surfers who flock to Sebastian Inlet. The reason Sebastian Inlet has such world class surf in the first place is the very reason the shoreline continues to erode. The reason Sebastian Inlet has such world class surf in the first place is the very reason the shoreline continues to erode. To the north of First Peak are its slightly less industrious twins,” Second Peak” and “Third Peak.” These breaks owe their prowess to the sandbar situated roughly twenty-five yards offshore, but they do not come close to achieving the levels of surf that grace First Peak. However, they do offer a glimpse of what surf would have looked like before the jetty was built. This begs the question: are we as surfers willing to give up our favorite surf spots in order to restore the environment to its natural state? It’s hard to imagine a surfer-run environmental organization such as Surfrider rallying around the destruction of the north jetty. It’s one thing to support the demolition of the Elwha River Dam in Washington State, a project that has no bearing on the surf, but quite another to destroy one of the best surf spots on the generally surf deprived East Coast.